Across the bay. A world away. 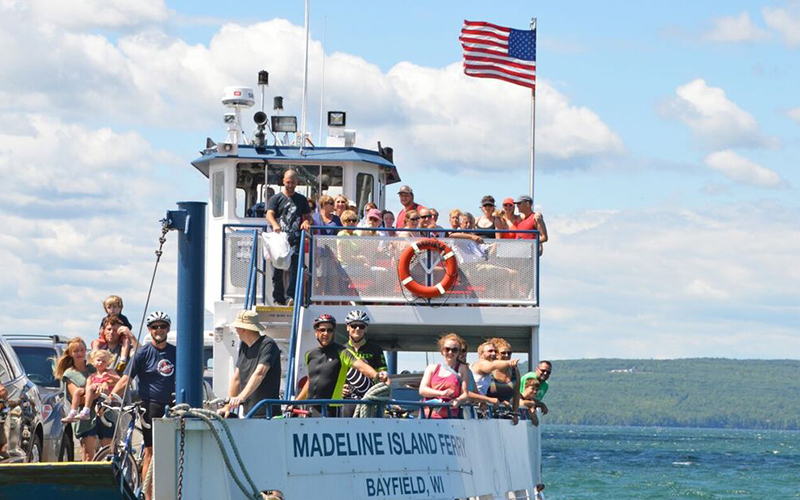 Located in Lake Superior just off Wisconsin’s North Coast, Madeline Island is the largest of the twenty-two Apostle Islands in the Archipelago. It is fourteen miles long and three miles wide and is the only one of the islands with commercial development. 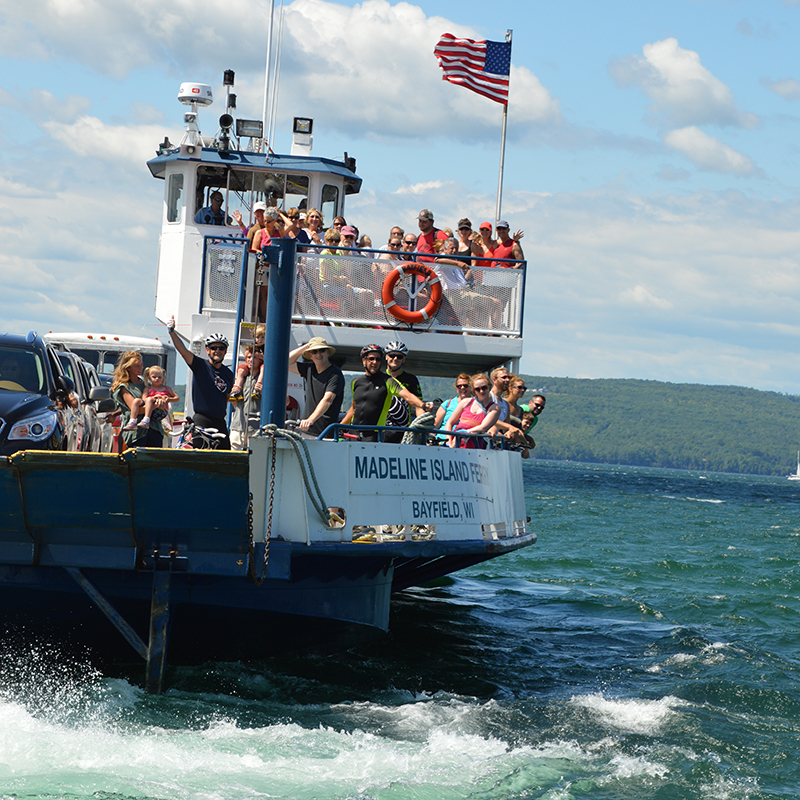 To reach Madeline Island, board one of the four steel-hulled car/passenger ferries that ply the waters between Bayfield, Wisconsin, and the Island. 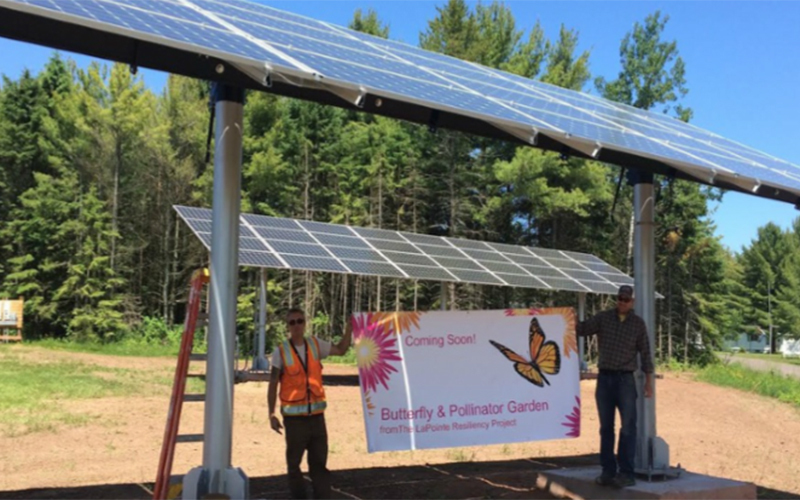 It is a twenty-minute, 2.6-mile trip over crystalline waters to the Town of LaPointe, on Madeline’s southern shore. Not only is the ferry ride necessary to reach the island, it is a great scenic cruise on Lake Superior. During mid-summer days, the ferries run every half hour. Check the schedule for early morning, evening, and off-season hours of operation. Ferries typically operate from March to mid-January depending on weather conditions. The year-round population of the Island is approximately 265, but swells to between 2,500 and 3,000 when the summer residents arrive—many of whom are descendants of early Island settlers who came to log, fish, and farm, while some came just to establish a summer retreat. While school is in session, the island’s two-room, K-5 school has between fifteen and twenty students, while the older students travel to the mainland to attend other schools. Islanders must adjust to seasonal changes in the mode of transportation between the island and the mainland. The ferries operate from March through mid-January; the windsled (air-propeller driven boat) during freeze-up and break-up periods, and the “ice road” is available to travelers during the heart of winter. 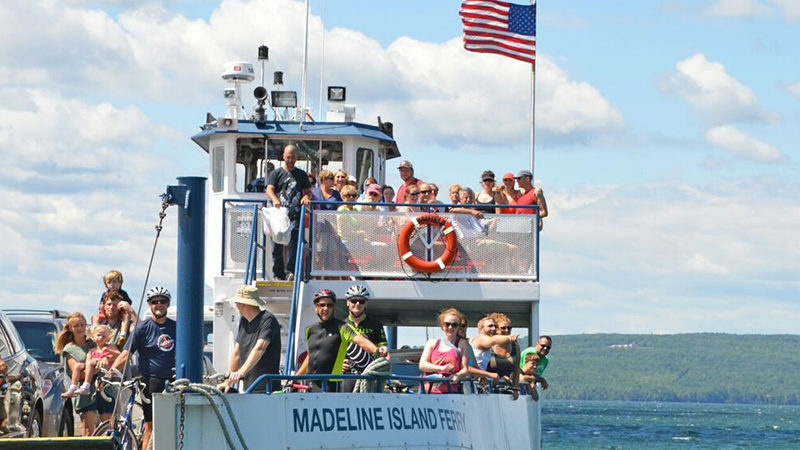 Madeline Island has a rich history, and is the largest of the twenty-two islands making up the Apostle Islands archipelago. The Island is named after Madeleine Cadotte, daughter of Chief White Crane and wife of fur trader Michael Cadotte. It has been inhabited by Native Americans, fur traders, and missionaries. 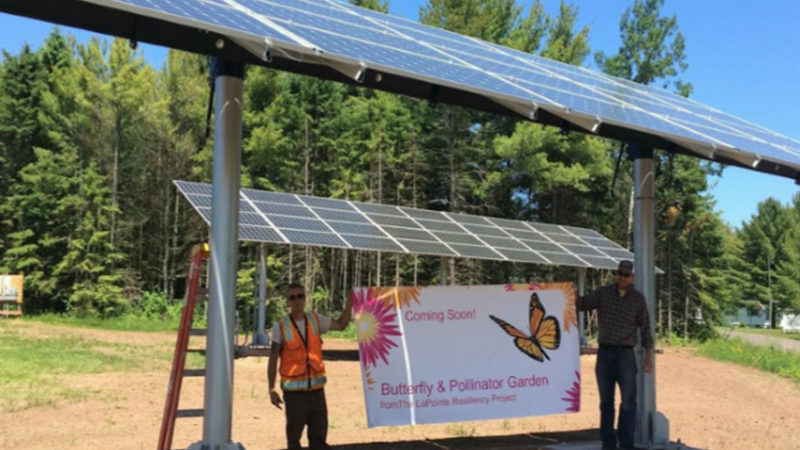 Madeline Island has flown the flags of three nations and has been the site of some civilization for about 400 years. 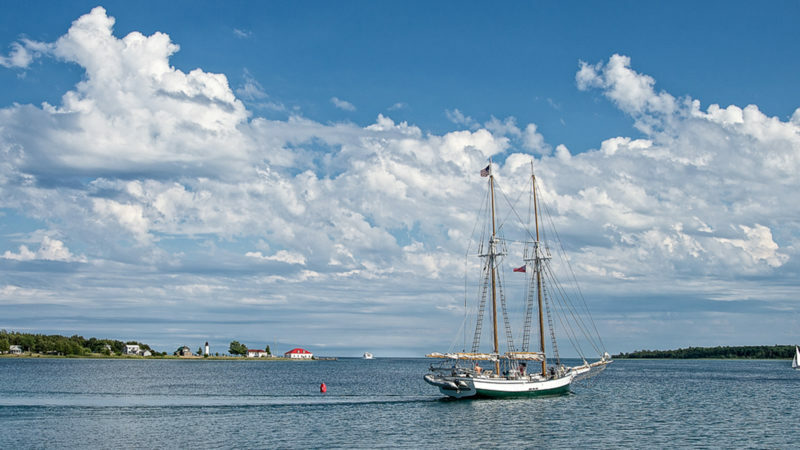 The Ojibway (Chippewa) and other native peoples made their home here for hundreds of years before European contact. 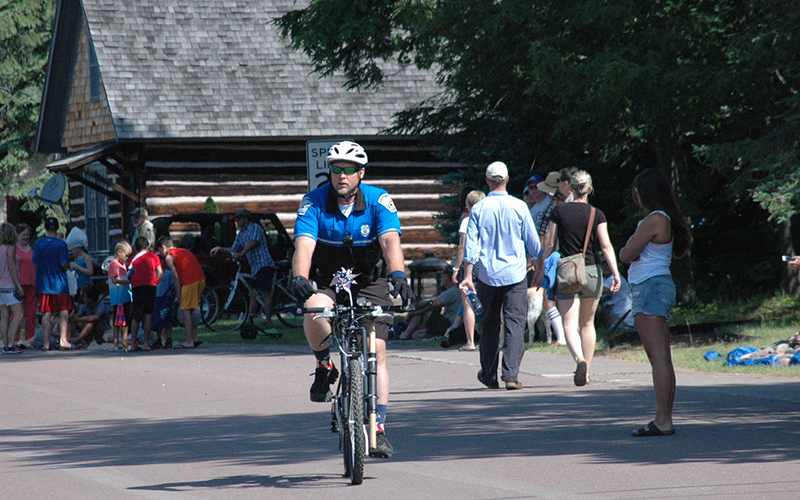 Etienne Brule, a French explorer, visited Madeline Island about the same time as the Pilgrims landed at Plymouth Rock. About 1660, two explorer/fur traders, Groseilliers and Radisson, made their way to Chequamegon Bay. Five years later, Jesuit Father Claude Allouez and Father Jacques Marquette arrived. 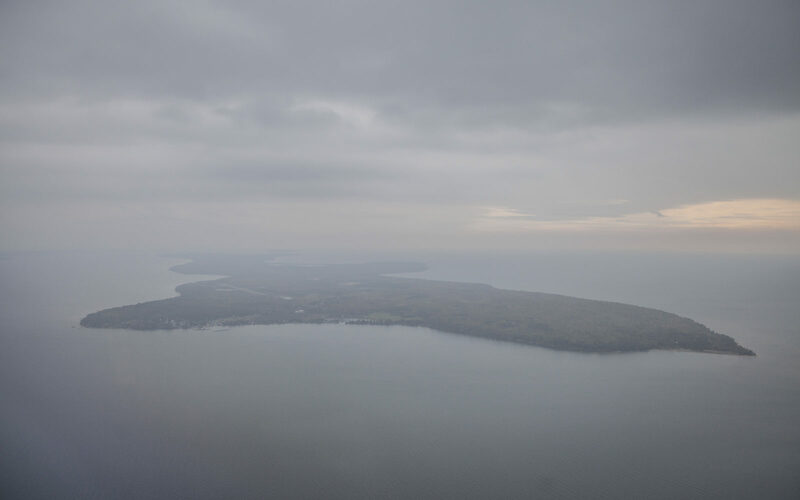 A mission was soon established at LaPointe, on Madeline Island. For the next 150 years, it was an important outpost for French, British, and American fur traders. 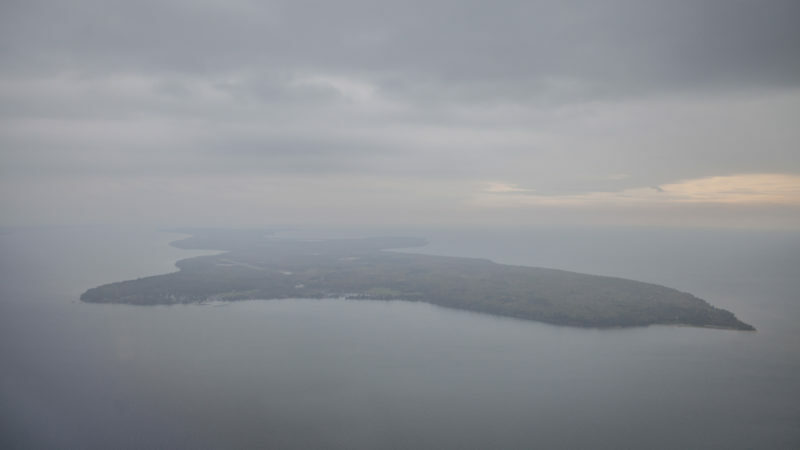 The Apostle Islands and adjacent Chequamegon Bay became home to a host of settlers after the 1855 construction of the locks at Sault St. Marie, Michigan, opened up the Lake Superior country. Like Native American inhabitants before them, the new settlers found water transportation routes to be most convenient. Passenger and freight ferries began crisscrossing the bay between communities. 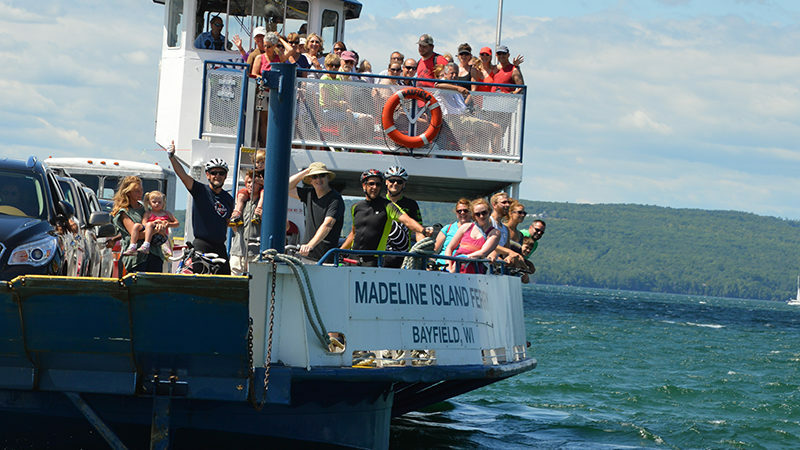 The eventual development of rail and road systems led to the disappearance of all ferry boats except those providing the connecting link between Bayfield and LaPointe, on Madeline Island. Ferries have run for nearly a century and a half between these two communities. Early sailing ferries have given way to steamers, then to gas and diesel boats – finally making the marked changes in structural design necessary for transporting vehicles in the twenty-first century. You can explore and experience this history for yourself in many ways. 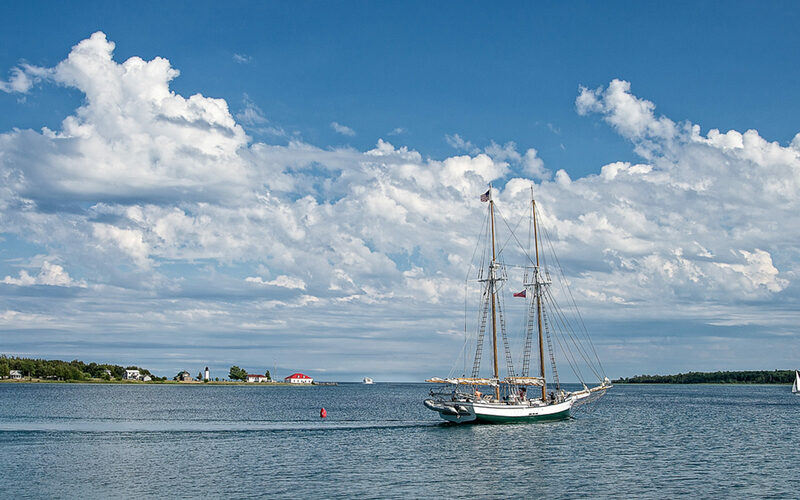 The most comprehensive exploration of Island history can be found at the Madeline Island Historical Museum. The Heritage Center of the Madeline Island Historical Preservation Association on the edge of downtown has several significant preserved buildings from the island’s history. 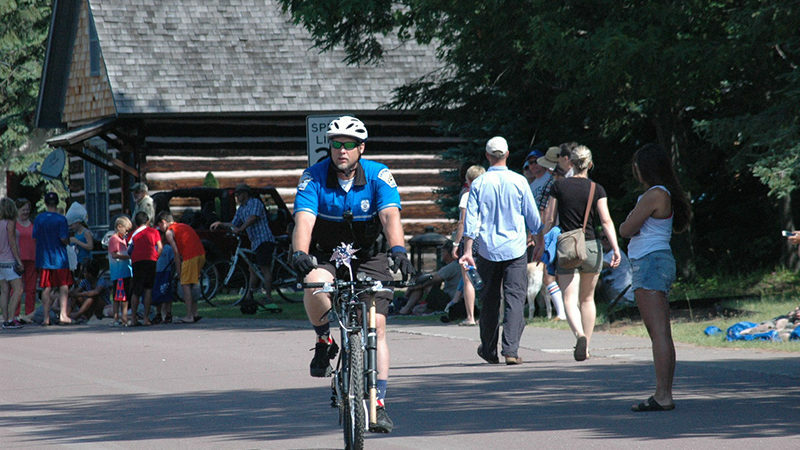 There are several sites on the island and on the mainland that should be visited for a fuller appreciation of our history—the historic Old Fort marker near the end of Old Fort Road, the historic Indian Burial Grounds, near the marina, and the historic Madeline Island marker on Highway 13, just south of Bayfield, to name a few.